Preliminary design plan for a fast battleship. This design may have been developed in consequence of General Board interest in "fast battleships to replace battle cruisers," the subject of an 18 January 1913 Board letter to the Naval War College. This drawing shows a ship armed with the 16-inch gun that had begun development in October 1912. This plan resembles the drawing of a battle cruiser dated October 1912 (see Photo # S-584-024). It is not known what circulation was made of this plan. It was followed in April 1913 by a derivative plan providing 14-inch guns (see Photo # S-584-029). 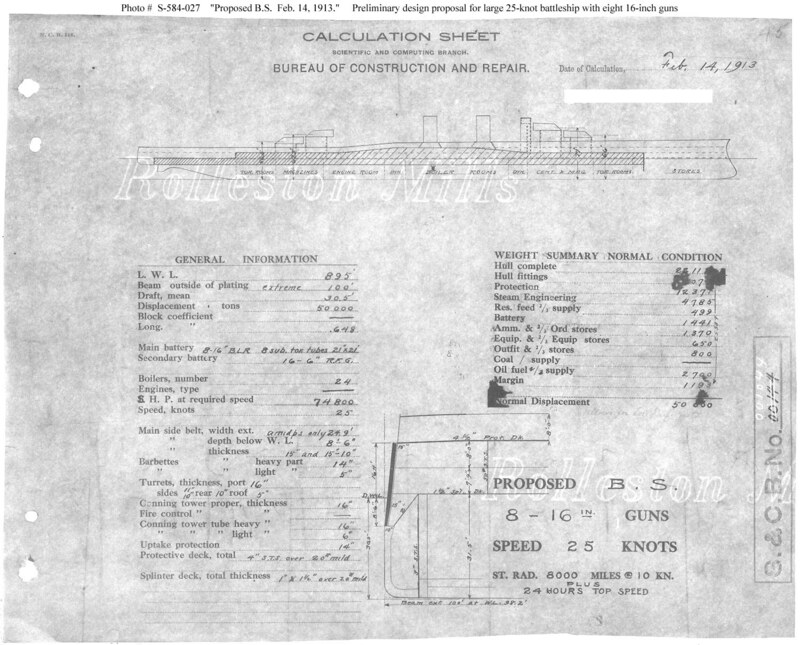 This plan provides eight 16-inch guns and a speed of 25 knots in a ship 895 feet long on the load water line (L.W.L. 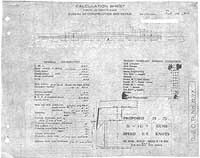 ), 100 feet in beam, with a normal displacement of 50,000 tons. No ships were built of this type.